Owl Things First! 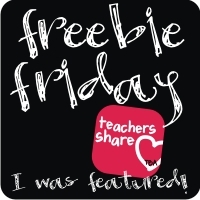 : Bluebird Boxes for Malauri & a Freebie for You! Last August a child who I have had as a student in music and computer classes died of a brain aneurysm. It hit me pretty hard as she was a classmate and friend of my daughter since preschool.She loved nature, and the last time I saw her was when I took her on a birding hike she had bid on and won at our school auction. She was so excited to spend the morning with me in the woods looking for birds. My only regret of the day is that I didn't bring my camera.We saw some awesome birds and enjoyed a lunch together, too. Malauri was always asking me questions about birds. Her mom told me that they found sketches of birds in her room with "Ask Mrs. Reck about...." I miss her so much. Today we built birdhouses in memory of Malauri. Each multi-aged group put together a birdhouse kit that I found on Etsy. I also found a new friend. My friend Roger put together 10 kits for our school to build together. He is an amazing woodworker and worked with me through every step of the planning. If you ever need building kits, please consider checking out Roger's store. These birdhouses went together beautifully! The only thing that was missing was Malauri. She would have loved having her parents at school, building bluebird houses with her. She would have loved the cookies they brought. She would have loved watching the bluebirds build nests in these boxes. I hope that when I see her in Heaven I'm able to wrap my arms around her and tell her how much she was loved here on earth. I know that she is flying like the bluebirds and nesting in the arms of our loving Savior. Some of the completed projects! Malauri's parents making a house together. Each child added to the project by pounding or painting. 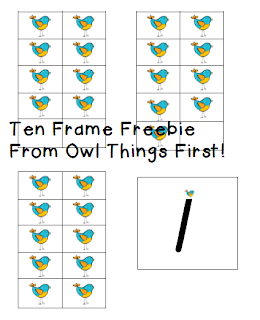 Click above if you would like a bluebird ten frame! That's a beautiful memory you have of this sweet girl doing something that you both love. Thank you for sharing her with the rest of us today. What a memory to have created. The joy of the flight both literally and figuratively.